A Simple Way For Nvidia Users To Gain Access To New Games & Features For FREE! 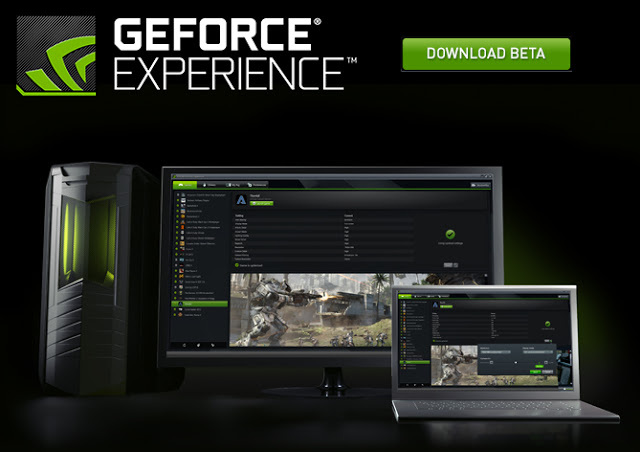 Nvidia GeForce Experience Beta Gives Players Early Access To New Games & Features Ahead Of The General Public! Anyone Can Join In On The Action! If you are anything like me than you like playing games immediately after they release. Luckily there are several ways for gamer’s to gain access to beta keys and early releases, I have found none easier than Nvidia’s GeForce Experience Beta Share Program. 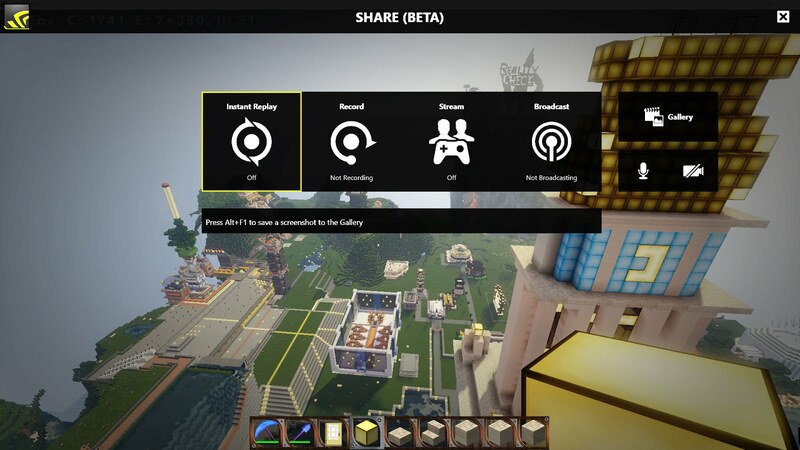 Most users with an Nvidia graphics card are already using the basic GeForce Experience program in order to maximize performance and even stream or record games using ShadowPlay. Although, this can work great for increasing fps and overall system stability, the basic GeForce Experience does not allow you to access special features that are essential to maximizing your PC’s potential. Screenshot Capture: Capture beautiful screenshots during gameplay. Screenshot Edit: Edit, Crop, and Enhance your screenshots. Imgur Integration: Upload screenshots to Imgur at resolutions up to 4K. Broadcast Overlay: Showcase customized information during broadcast to Twitch.tv and YouTube Live. Broadcast Viewer Count: Showcase the number of viewers during broadcast to Twitch.tv and YouTube Live. Twitch Ingest Server: Select the Twitch Ingest server for the best broadcasting results. If you would like to be in the GeForce Experience Beta Share Program then all you have to do is go to the GeForce Beta webpage or click here ‘Download Beta‘. It takes only a minute to install and will automatically override your current version if you already have the basic one already installed. That’s it! Now you are eligible for new games and content! One of the greatest features offered in the Beta program is the ‘Share Overlay’ option that is enabled by holding ‘ctrl + Z’. This simple menu gives users a clean overlay where they can access powerful features that many programs charge for. For example you can choose the instant replay setting where you can set a maximum of 20 minutes of game-play to always be recorded in the event something happens and you would like to post it. Another great feature is that all of the streaming and recording, even at 4K resolutions is done very efficiently and quickly with this program. You can also make simple video and picture edits and even upload direct to YouTube & Imgur from the share overlay. There isn’t anything else that has all of these features in one place and for that I am excited to see what they do next! Game Ready Drivers: Automatic access to Game Ready drivers which provide top performance! GameStream 4K: Play your PC games on your TV, now at 4K. Harness the power of GeForce GTX graphics cards to cast your games from your PC to your SHIELD, at 4K 60 fps with 5.1 Surround. YouTube Live: Broadcast to YouTube Live at up to 1080p 60 fps. Twitch Streaming: The broadcast resolution to Twitch has been increased to 1080p 60fps. Out of all the beta features my favorite would have to be the ‘GameStream Co-op’ which is by far the coolest out of them all. Let’s say you get stuck in “I Expect You To Die” and you can’t figure out how to get through the puzzle! No worries! Using GameStream Co-op you can send a link to your friend which will allow them to help you through the level! You have the options of allowing them to just watch, to take control completely, or to even join in and play with you if the game is compatible. This is very exciting to think about considering that most of my friends are only available through the internet and this feature makes you feel very connected to those who might be far away in miles but close in mind. For those of you already in the beta program, Tom Clancy’s The Division, Ubisoft’s long-awaited online open world action-RPG will begin it’s closed beta test on January 29th that runs until midnight January 31st. Keep checking your inboxes for a beta key invite, there currently on the way out! In order to receive a key you must have the beta installed, your system must run a GeForce GTX GPU, and you must have installed the Game Ready driver. All of these should be standard if you are running a Nvidia GPU. Thanks for checking out the article if you have any questions or comments please feel free to leave them below and I will certainly get back to you! ← Ethereal Legends Brings Turn Based RPG Gaming to VR! I had no idea! thanks for the info! Fantastic article mate, love it. very pro.